If you’re suffering from a ringing in the ears, a tinnitus hearing aid from Pindrop Toronto may help. Tinnitus is a condition that involves hearing annoying, distracting and oftentimes painful ringing or other tones in the ears. Caused by a myriad of different things such as hearing loss, consistent over-exposure to loud noises, certain medications, or even a disorder of the circulatory system, tinnitus can affect as many as one in five people. Tinnitus can cause any number of problems for an individual sufferer. The fatigue of constantly hearing “white noise” or persistent tones in your ears can lead to stress, an inability to sleep, problems with concentration or memory, as well as depression, anxiety and irritability. 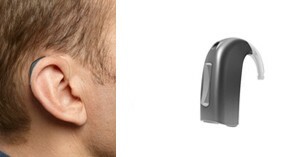 While there are many different ways to treat tinnitus – many of which can be situational or of differing effectiveness – one of the more common ways to treat the disorder is through the use of masking devices or tinnitus hearing aids that are designed to cancel out some of the perceived noise caused by tinnitus. In cases where tinnitus is caused by hearing loss, these tinnitus hearing aids pull double duty by not just attempting to minimize the unwanted sounds but by amplifying ones that a patient has lost the ability to hear. If you’re suffering from tinnitus, with or without hearing loss as well, call Pindrop Toronto today at 416-484-4327. We’ll book you for an appointment to have your hearing tested and your ears examined by one of our dedicated audiologists, who will determine if tinnitus hearing aids may benefit you. Our talented patient care professionals will then work with you in going over your options and helping you to select the best one for your circumstances. Rely on Pindrop Toronto to help you find a solution to that maddening ringing in your ears so you can finally relax and get some much needed rest.